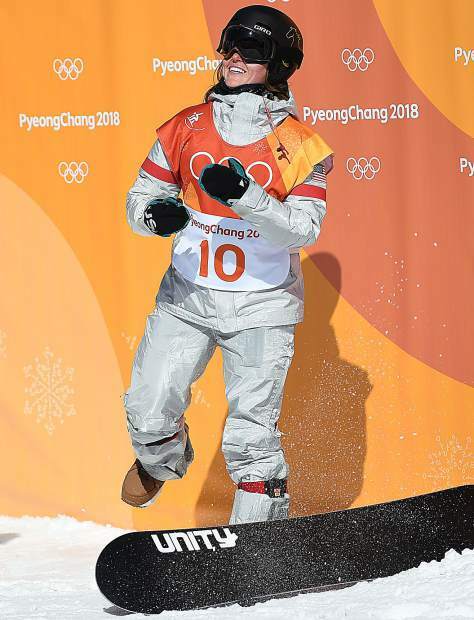 Arielle Gold celebrates her after her third run of the women's halfpipe at the Winter Olympics in Pyeongchang, South Korea, on Tuesday, Feb. 13. 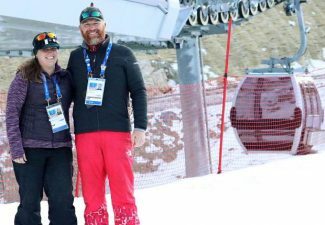 The Steamboat Springs rider captured the bronze medal. BONGPYEONG, South Korea — It takes courage to go big on a snowboard in the halfpipe, a willingness to commit to the point it can scare even those who’ve spent their lives riding the pipe. “It’s about having that confidence to really know I can trust myself to go bigger and be able to land regardless of the speed I’m taking,” Arielle Gold said two days before the women’s halfpipe event at the 2018 Winter Olympics. 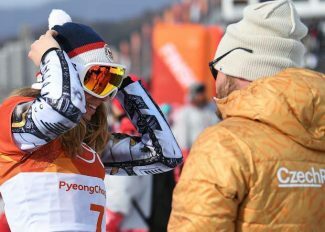 Tuesday, Gold was mired in fourth place after landing a clean run on her second attempt in the halfpipe finals at Phoenix Snow Park in PyeongChang, South Korea. She’d put up a good run but it hadn’t been good enough. Gold rode faster, flew higher and spun quicker, then landed it all, and it earned her something she’s been chasing as long as she can remember. 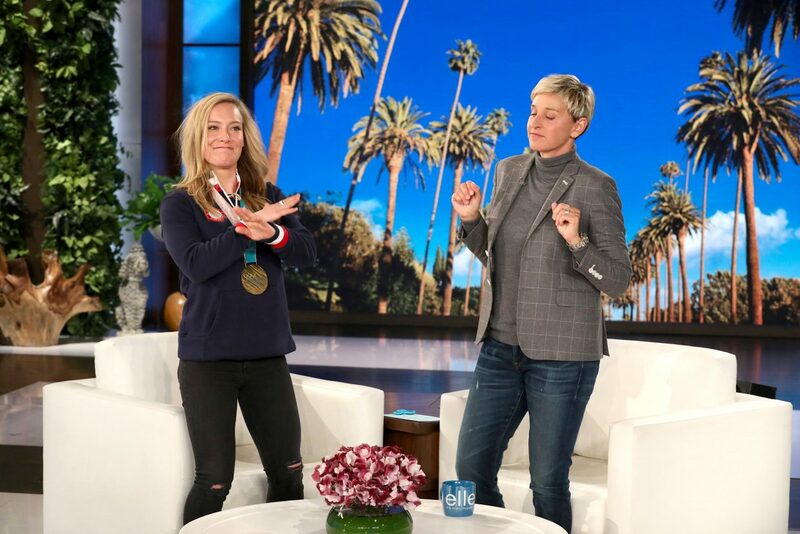 Gold went big and landed a medal at the 2018 Winter Olympics, bronze in the women’s halfpipe. Gold struck on what was a huge day for the U.S. women in the halfpipe. Chloe Kim, the Americans’ 17-year-old snowboarding phenom, won the event with a stratospheric score of 98.25. Chinas Jiayu Liu won silver at 89.75 and Gold, who grew up and into a world-class snowboarder in Steamboat Springs, took bronze at 85.75. The biggest trick in Gold’s run is the first, a frontside 1080 tailgrab spin, three full rotations on her board that, if landed right, can put her on the podium at any event in the world. She was the first rider of the morning, bright and sunny and cool rather than dark, snowy and frigid as the previous days had been. She missed that trick on her first run, skidding down into the pipe on her back as the snow kicked up around her. She was in last place of the 12 riders after the first run. She was landed it on the second run, or almost. When she doesn’t go quite big enough and doesn’t spin quite fast enough, she’ll finish the trick when she’s back on snow, logging maybe 990 degrees of rotation spinning in the air and the final 90 back in the pipe. She did that on her third attempt. She got all the way around and stomped the landing. She hit her second biggest trick, too, a frontside 900 tailgrab, at the bottom of the course and she threw up her arms in celebration as she skidded to a stop in the stadium. 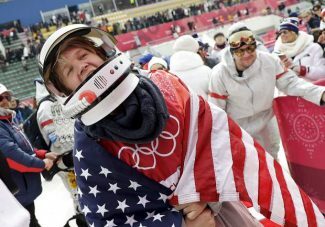 The news came moments later, the score of 85.75, sliding her in ahead of her role model in the sport, Kelly Clark, who’s best run at that point was 81.75. Gold threw her snowboard to the ground and her hands to her face. It took another 30 minutes to be real, for every other rider in the field to have a crack at unseating her. Clark came the closest, logging a score of 83.50, 2.25 behind Gold, but none could better her, and finally, when the last rider behind her fell on a trick in the middle of the pipe, it was done. Arielle Gold became an Olympic medalist. They give you a ring for making an Olympic team in the United States, small and gold, not especially valuable though outside of its mark as a memento. Gold received hers after she made the 2014 Olympic team and that was one of the last highlights for her at those Games. The halfpipe event ended seemingly in disaster. 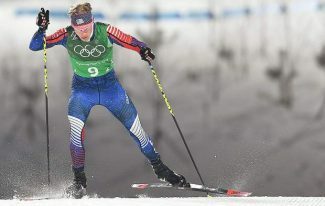 She fell and dislocated her shoulder moments before her event began and ended up in the hospital rather than on the podium, an Olympian who didn’t actually get to compete in the Olympics. She kept the ring, however, and still wore it years later to show she was good enough to make the Olympic team in the first place and strong enough to stick with the sport afterward. “It reminds me what I’ve been through,” she said several years later. It hasn’t been an easy path from that Olympics to this one. Snowboarding’s a major part of her life, but not the only part. She’s halfway through a degree at University of Colorado, intent on being a veterinarian, and there were times when snowboarding got frustrating and she wondered if it was her true passion, the best place for her efforts and her time. She seriously considered retirement on several occasions, even last summer. She didn’t, however. She found a way to rededicate her self to her sport. She spent long days in the pipe learning the 1080. She got courageous when it mattered the most, and she’ll be coming home to Steamboat Springs with more than a ring.